The cutest baby names of all time. All babies are cute, or so you’ve been led to believe. They are not. Some babies just look weird and a bit squishy. Then there are those who look cute most of the time but thanks to the so-called “startle reflex” can end up looking like this when you sneeze, or cough, or slam a door. Okay, still a bit cute. And by choosing an incredibly cute name, you can repair some of the damage nature has done and transform your little oddball into something sort of adorable. That’s how powerful the right baby name can be. That’s why you should put as many hours, days, weeks, months and even years into thinking of the perfect name. In fact, if you are pregnant already, you’ve probably left it much too late. We’ll do what we can to help you but, gee, there’s only so much we can do. 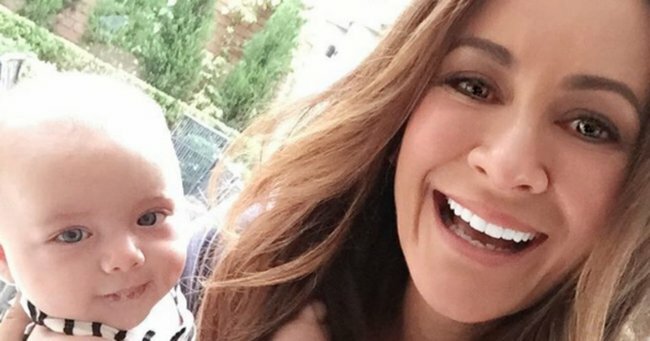 Zoe Foster Blake talks about taking selfies with adorable son Sonny with an even cuter name. Article continues after this video. Here are 23 of the cutest baby names we could find for boys and girls so you can come up with the perfect name for your little bundle of gorgeousness, even if they have a face that only a mother can love. Flower names are so cute, especially for girls. Lily is one that is incredibly popular these days, just as cute with one “l” or two. Lily is thought to mean a symbol of purity, innocence and beauty. Lily can be a stand-alone name or short for Lillian. Originally English, Lily is now used all over the world. Sonny Foster Blake, need we say more? Zoe Foster and Hamish Blake were so happy with their choice of baby name for their first child Sonny, now two-and-a-half, they proudly announced it on Instagram and had it printed all over his things. It&apos;s thought the name Sonny evolved from the word "son". Too young to remember that song? Google it! It&apos;s played at almost every formal function I&apos;ve ever attended. The name Mickey is so adorable and not only because of Disney&apos;s Mickey Mouse. It also means, "Who is God", in Hebrew. Once again, this particular one has a celebrity seal of approval in the form of actor Ashton Kutcher who is cute in a completely different way to how babies are cute. Mila Kunis and Ashton Kutcher. Image via Getty. It&apos;s often shorted to Ash and is even giving Ashley a run for its money when it comes to baby name use. This is a Persian name meaning "bringer of treasure" in reference to the Three Wise Men bible story. It&apos;s also thought to reference a precious stone that is green-brown in colour which so the name is also said to mean "smooth", "polished" or "spotted stone". An unusual name, the first time I ever heard this name was in the epic movie Legends of the Fall starring Brad Pitt. If you haven&apos;t seen it before, bring your tissues. It is so, so sad... As in, Me Before You sad. Tristan is Celtic and means "outcry". It is part of the epic love story of Tristan and Isolde. Just quickly, Tristan was sent to fetch the king&apos;s bride Isolde however on the return journey they accidentally drank love potion and fell in love. The baby name Ainsley is English and means "meadow". It&apos;s not just a first name, it&apos;s also a Scottish surname. It descends from a powerful and established Scottish family. It&apos;s mostly used for boys but has increased in popularity for girls since 2001. The name Cassidy means "clever" or "curly hair" and is once again both a first name and a surname. The name rose in popularity thanks to baby boomer parents (like my mother) who became obsessed with retro TV show The Partridge Family (also, like my mother). The name Macy comes from Matthew. It&apos;s French in origin and means "enduring". Macy is thought to be the most modern of the girl name group consisting of Stacy, Tracey and Lacey. Ava is a variation of the name Eve, and means "life". It reached number four on most baby name lists last year and is still incredibly popular. Both Reece Witherspoon and Hugh Jackman chose the name Ava for their daughters. Another flower name, Rose references both the flower and also the older style name Rosa. The Rose is thought to be a symbol of love and beauty and has been popular since the nineteenth century. The baby name Ella means "beautiful fairy". It&apos;s short for Ellen and Eleanor. The name Ella is used a so many children&apos;s TV shows and movies because of it&apos;s "fairy" association. Eden means "paradise" and derives from the bible story about creation in the Garden of Eden. Seeing parenting is a (tiring, difficult) form of paradise, it comes as no surprise that it&apos;s such a popular baby girl name. It&apos;s never been a very popular name but the name Sailor is so cute for baby boys and it is sometimes spelled Saylor. The name brings to mind images of baby boys dressed in little nautical stripes, majorly increasing its cuteness-factor. There&apos;s something special about single syllable names for babies. They are particularly cute and Paige is no exception. Traditionally the name Paige means "young servant" and it can be used for both boys and girls. The name Betty conjures images of older women like Betty White. Now it&apos;s back for babies in a big way. Today Extra host David Campbell chose it as the name of twin daughter. Today Extra host David Campbell with twins Betty and Billy. The twins full names are actually Elizabeth and William in full. They are 21-months-old. Finley is as Irish as it sounds and boys named Finley are often called Fin for short. It means "fair-haired hero" but we&apos;re pretty sure there aren&apos;t any rules stopping parents from using it from dark-haired children. There&apos;s something about long and formal names given to babies that make them cuter than ever, even though most Benjamin&apos;s end up being called Ben. Although I went to school with a boy who shortened it to Benji, which was just adorable. Benjamin was a biblical character and has always been a popular name. Chase is what they&apos;re called and chase is what they make you do. The baby name Chase means "huntsman", but not in reference to the huntsman spider (blah, hate them), actual strong, virile huntsman who used to hunt things. Reid is a Scottish baby name and it means redhead. Redheaded babies are so incredibly cute even without a name like this. And not just red hair either, the name also used to be given to babies with a red or "ruddy" complexion. The baby name Kitty is often short for longer names like Caterina (my daughter whom we call Kitty Cat) or the baby of radio host Jackie O, however for her Kitty is short for Catalina. The name Kitty in it&apos;s original form descends from the Greeks and means "pure". Wiley is an English baby name meaning well-watered meadow or "of the willows". In most countries around the world Wiley is used for both boys and girls. A German baby name, Lenny means hardy lion or "lion bold". There&apos;s also a St. Leonard who is said to be the patron saint of prisoners. But still, that unfortunate meaning doesn&apos;t take away from its cuteness.